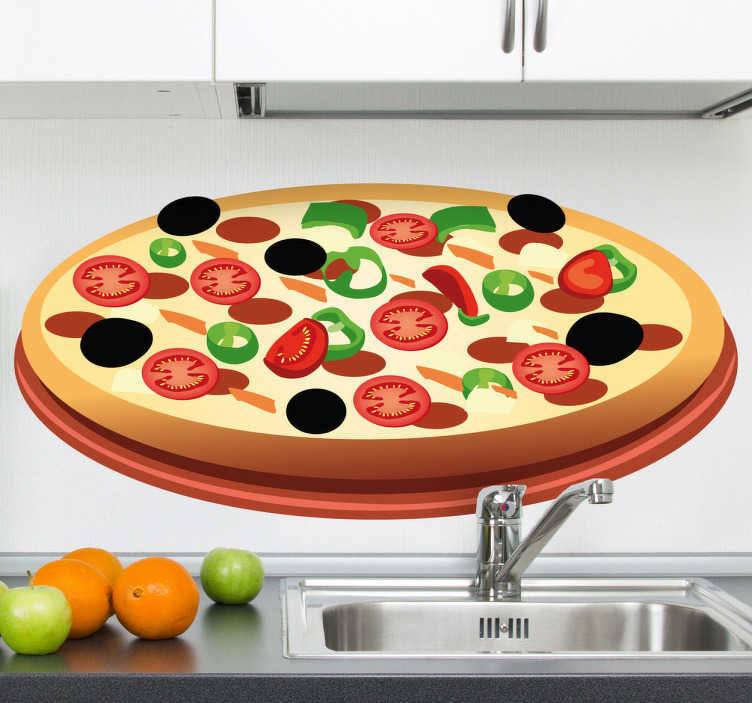 Wall Stickers - Decals - Vector illustration of a thin based pizza topped with black olives, green peppers, meat, double cheese and tomatoes. Ideal for homes or businesses such as fast food outlets and restaurants. Decorate walls, windows, furniture, vehicles, appliances and more. Available in various sizes. Made from high quality vinyl. Easy to apply and easily removable.